In the Viking age, there was a system of the alphabet that the Vikings once used to foster their communication with Gods and the Higher Power. That alphabet was known as Runes. Each rune letter consisted of its own meaning and power that one might not imagine. In this blog post, we are going to discuss the meaning of each runic letters. The rune alphabet of the Vikings included 24 letters. In this first blog, we will work with the first eight runic letters: Fehu, Uruz, Thurisaz, Ansuz, Raidho, Kenaz, Gebo, and Wunjo. 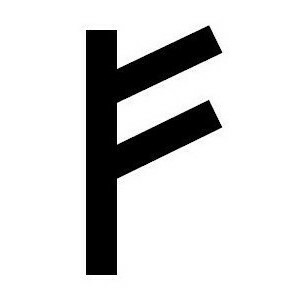 The Fehu rune letter stood for "wealth" or "cattle". The Fehu letter could be pronounced as "Fey-Who". In those days, the majority of the Vikings were farmers and that was easy to understand why cattle had the connection with wealth. To the Vikings, the cattle might be their mobile property. Other meanings for Fehu were the luck, sign of hope and plenty, or anything that one struggled to keep. Uruz letter could be pronounced as "Oo-Ruse". This letter was mainly associated with the power of physical strength, courage, vigor, and wild ox. The Fehu letter was the symbol of domestic cattle while the Uruz represented that those cattle once were wild animals. This Uruz was the perfect symbol for the wildness, untamed potential, great energy, and expected changes in life (in a positive way). "Thor-is-as" was the way to say the word "Thurisaz". This rune letter was mainly connected with chaos and destruction by natural forces. This rune letter had both negative and positive ways to interpret. On one hand, this letter was associated with Loki the Norse trickster, the thorn, and the grim and evil. On the other hand, this letter was emblematic of Thor who defended Asgard and Gods and helped the ordinary people as well. The Ansuz "Anne-Suhz" rune had a connection with Odin the Allfather. Thereby, it embodied some qualities from Odin. Indeed, the main power of Ansuz was the intelligence and the power of words. This rune was also the power of mind consciousness, enthusiasm, and inspiration of languages. Raidho - "Reid-Ho" - was the rune letter of journey and movement. Many people might love this rune letter because it helped people to recognize where they really wanted to go. If the Ansuz letter was about the words and letters, the Raidho letter represented that actions spoke louder than words. It showed us the right action, movement, and destination. This Raidho letter was a perfect compass that would guide you to a better place in life. Kenaz could be pronounced as "Kee-Nas". This rune letter stood for the torch. This "torch" was a perfect symbol for intelligence and intellect. This "torch" would enlighten us about any matters in life. It helped us with our pursuit of answers or truths. Gebo - "Gay-Boo" - was the rune letter for gifts and fair exchanges. We mean the word "gifts" in the sense of both sacrifice and generosity. Thereby, this indicated the balance. 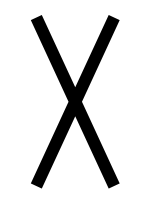 Maybe that was why this letter looked like the X letter. Many people also assumed that the X-mas we have today somehow is related with the Gebo letter because people often exchange gifts during X-mas. "Won-Jo" was how we pronounce this word. This rune letter was mainly associated with joy, hope, and harmony.